Speakers have been confirmed for the 23rd World Congress on Intelligent Transport Systems which will be held in Australia later this year. Founder and President of global mapping technology company Esri Jack Dangermond is a keynote plenary speaker. An updated program also shows further expert insight from Australian and international industry professionals across an array of subjects. This includes US based Cubic Transportation Systems president Matthew Cole. "I'm looking forward to the World Congress to engage in the conversation about how we move the ball forward on the policies and partnering that will allow us to unlock the potential of the industry in the next 10 years," says Cole. Cubic Transportation Systems is a leading integrator of payment and information technology and services for ITS travel solutions worldwide. Cole will share a stage in the Mobility as a Service Plenary session with, Public Transport Victoria chief executive officer Jeroen Wiemar and China ITS Industry Alliance chair Xiaojing Wang, among others. Sensys Networks vice president of business development and government relations Hamad Banouar will present in the Smart Cities Plenary Session. "The ITS Word Congress will bring together Government, Industry, Academia and the users in Melbourne, a world class city, to show real advancement in technologies that enhance peoples’ lives globally," he says. Congress also has more than a dozen technical tours designed to showcase the innovative features of Australia’s transport system. Australia chief executive officer Susan Harris is looking forward to welcoming Australian and global speakers and the ITS community to Melbourne. "The World Congress has always been a platform to showcase the latest technology to highlight advances in safety, vehicle and infrastructure technology and in 2016 the enhanced liveability of our cities and communities," she says. "It’s encouraging to see registrations coming in from across the globe and we’re receiving great interest in attendance from interstate and international ITS organisations. Within Australia, we are seeing strong interest from Federal, State and Local Governments." 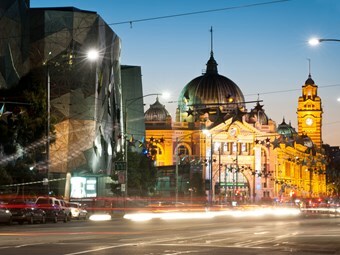 The congress will be held in Melbourne on October 10 to 14, and is expected to attract more than 7000 delegates.